On Thursday, the Federal Communications Commission (FCC) voted to reclassify Internet service providers as a “telecommunications service.” If the decision is upheld in the inevitable court challenges, the FCC will have broad authority to regulate minute aspects of broadband companies in the name of protecting consumers and fostering innovation. The reclassification will allow the FCC to restrict Web-traffic throttling, the creation of “fast-lanes” on the Web, and other services it deems unscrupulous, but cable companies protest that the move grants the FCC excessive powers that could hamper the development of new services. The final draft of the 322-page resolution that the FCC passed is not yet open to the public, but the document isn’t the only source for imaging the possible effects of net neutrality. Although the term “net neutrality” was coined by a researcher in the United States, the idea has spread across the world, and several nations have adopted net neutrality like rules in the past few years. Chile was a pioneer in net neutrality, passing sweeping laws in 2010 that forbid companies from offering different levels of Web access at different prices. In 2014, it ordered wireless carriers to halt their cooperation with Facebook Zero, which allows a bare-bones version of Facebook to not count toward users’ data usage. Presumably Facebook compensates the wireless carriers for the promotion. The decision to strike down Facebook Zero in Chile appeared as a confirmation of the concerns of the opponents of net neutrality, that it would stifle innovation and discourage investment in Internet infrastructure. Chile has a mobile Internet penetration rate of around 25 percent, high by Latin American standards, but still less than half of the rate in the United States. Facebook Zero has been instrumental in expanding Internet access in many developing nations because it allows Internet providers to directly monetize from websites their customers are using. The Netherlands passed net neutrality laws in 2011, in reaction to plans by the Dutch telecom company KPN to impose additional fees on customers who use apps like WhatsApp. KPN initially raised the price of mobile data plans by moderate amounts, but those prices have since declined, and net neutrality advocates have declared the Netherlands experiment a success, although it hasn’t been without its wrinkles. In January, Vodafone Netherlands was fined 200,000 euros for not counting the data usage for HBO GO, zero-rating the service similar to how Facebook zero-rated on wireless networks in developing countries. With the Netherlands model, European Union (EU) officials passed legislation to impose net neutrality rules to all 28 member states in April of 2014, but the rules still require additional layers of approval from various governing bodies in the Union. Some individual members like Slovenia have jumped ahead of the EU and banned practices like zero-rating on a country-wide basis. In 2014, the Marco Civil code was signed into law, promulgating a series of Internet regulations ranging from a ban on zero-rating to restrictions on how private companies collect personal information from their users. While it was hailed as a landmark reform by many, details in the law emerged as a sign of creeping authoritarianism that advanced under the cover of consumer protection. The Brazilian Constitution has a ban on anonymous speech, and the Marco Civil has extended the reach of that law to the Internet, at least as practiced by some public prosecutors in the country. In 2014, prosecutors sought to ban the “Secret” app, an app that lets people share messages anonymously. An initial ban was overturned, but in August a judge issued an injunction for Apple and Google to remove the Secret app from their stores and wipe out existing traces of the program. The injunction said that Secret has been used as an app for bullying, and that anonymity prevents the victims from refuting the accusations against them. Indeed, one of the main concerns of net neutrality critics is not a trust in broadband companies to keep their customers’ best interests in mind, but a greater distrust in federal agencies to not abuse the expansion of their powers. Republicans have offered legislation that would block the FCC from claiming new powers while simultaneously restricting discriminatory practices like zero-rating by broadband companies. 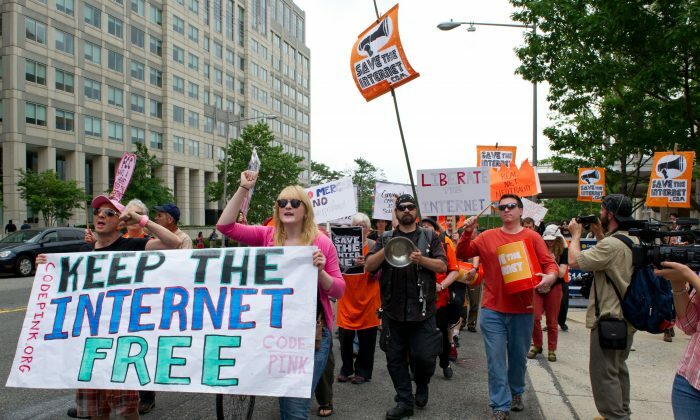 However, President Barack Obama is a strong supporter of the current net neutrality proposals and would likely veto legislation designed to block action by the FCC. An FCC decision to regulate Internet-service providers as public utilities could add billions in fees and cause millions to lose their broadband Internet.